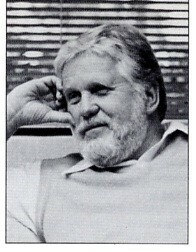 John Wimber was born on February 25, 1934 in Peoria, Illinois to a rural poor family. His father, Basil, was a drinking man and his parents divorced while John was still young. His mother showered him with “all the acceptance, admiration and praise that he’d need for the rest of his life.” John loved his grandfather Charley greatly and six-months before Charley died a Baptist preacher came to talk to him about Jesus. Charley was “marvelously converted” and called each of his own children and John into his room and told them about Jesus. When Charley’s time did come he sat up in bed and yelled, “He’s coming! Do you hear it? He’s coming for me! Sweet Jesus! He’s here! Do you see him? Oh, he’s here!” and died with his arms held out to Jesus. This somewhat embarrassing event was stuck in John’s memory indelibly. With three young children, Carol and John had decided to quietly divorce and John was to pick up the papers while on business in Las Vegas. While John was gone Carol came to a point of crisis, thinking that she must be being manipulated the devil to hurt those she claimed to love. This drove Carol to pray sincerely, “Jesus, help me! !” Simultaneously John, gazing at the starry night began to wonder if there might just be a Creator. Gazing upward, speaking out loud he called, “Hey! If You’re up there, if Anybody’s up there could you give me a little help here?” Returning to his hotel he got a message from Carol to call home. He did and Carol asked his forgiveness and for him to come home. He drove all night aware that something had changed in his life. When the Wimbers returned to Orange County they enrolled their children in Catholic school, agreeing to certain requirements including being remarried in the Catholic Church and taking a course on raising children Catholic. They began attending mass regularly and some friends of theirs started inviting them to a Bible study at their home, which they finally accepted. John and Carol began attending the Bible study with a man named “Gunner” and also went to a Quaker church with their friends. John became intensely interested and visited Gunner regularly during work hours to ask question after question. John and Carol were ready to become Christians but didn’t know how. Finally Carol blurted out in one their Bible studies, “Something’s got to happen! We believe all this! Can we sign up somewhere or something? Please?” Finally, Gunner, who’d been excruciatingly patient said, “I think it’s time, let’s pray.” And they did. Carol and John both accepted Jesus, Carol through the Catholic Act of Contrition and John sprawled on the floor and weeping. Shortly thereafter John became convinced that Jesus was asking him to give up his music career which he loved so much and he did, with nothing to fall back on. John began spending much time with Gunner and started leading people to the Lord. This man, Gunner, preached a radical Christianity of God’s total ownership of his people and the forfeiture of rights with salvation. John, noticing the change in his wife came before the Lord in desperation and was met by the Spirit and healed deeply. He began attending Carol’s Bible study, of which it was said, “Brokenness and a hunger for God was more an earmark than was the demonstration of the gifts.” Before long the group was asked to leave the church and subsequently began a Calvary Church. God spoke to John confirming that “Yes, Christians are called to heal the sick in the same way as they are called to evangelize,” and John began preaching it from the pulpit and making altar calls for healing. This act of obedience frustratingly precipitated nothing for a nine months and John was driven to exasperation not understanding why God would not back up what he’d commanded. The dam broke when John was called over to pray for a sick woman in her home. After John’s faithless prayer and as he was explaining to her husband how not everyone is healed, the woman sat up and made them coffee, completely healed. As John drove home in ecstasy he had a vision of a giant honeycomb dripping honey on all below it and these people’s various responses. God explained that his grace was for all and that the problem with the transfer was not on his end. The floodgates were now open and healings of all types began happening in church. Ministry there in Calvary Chapel was glorious and the church grew from 60 to 1500 in three years. During this time John’s gift of healing became more evident and he asked his wife, “Carol, should I get a tent? Or should I train the church to do the work of the church?” They both knew the answer and John continued training teams to heal the sick, cast out demons and bring people into relationship with Jesus. In 1982 even the Calvary Movement was becoming unsettled by this radical congregation and asked them to rename themselves and join the fledgling “Vineyard” movement and they did. John Wimber spent the rest of his life ministering in and through this movement. For several years he taught a class on the role of the miraculous in evangelism at Fuller and went on to write several books, including Power Evangelism and Power Healing. He became the international director of the Association of Vineyard Churches and formed Vineyard Ministries International and Vineyard Music Group. During most of this time he continued to pastor his congregation at Vineyard Christian Fellowship in Anaheim. The movement grew quickly due to the Holy Spirit’s work and the active evangelism and Church planting of each of the Churches. In 1986 he suffered his first heart attack and in 1993 he was diagnosed with inoperable cancer. Throughout this time he remained an active minister and author even despite his stroke in 1995. On November 17, 1997 John Wimber went to be with Jesus leaving a legacy of obedience to Scripture, Spirit-filled worship music and confidence in a Jesus who still heals. John Wimber’s life and ministry are still bearing fruit in many lives. His obedience-based theology, sensitivity to the Holy Spirits’ leading and emphasis on living out the ministry of Jesus clearly made him an effective equipper of the Church. John asked God one day for his ‘call’ and heard very clearly that God intended for him to be a ‘change-agent’. Wimber changed the lives and walks of numerous unsaved and Christian people, leading them to Jesus and teaching them to let Jesus manifest himself not only in their character but also in their action and ministry. Wimber stands out among Charismatic leaders because of his unique journey to Spirit-filled ministry and his theology of obedience over experience. Wimber’s attention to Jesus lead was also apparent in the manner in which he responded to criticism. John was not afraid to receive critique but also was not so governed by the thoughts and words of men that he submitted himself to their control. John’s policy was to “Eat the meat and spit out the bones.” He would take serious thoughtful criticism before the Lord and ask that he’d be shown whatever was true therein. Thus he was able to respond saying: “If ever there is a choice between the smart thing to do and the move of the Holy Spirit, I will land on the side of the Spirit.” Important to an understanding of John Wimber and his ministry is a look at his view of the place of signs and wonders in the ministry of Christ. Wimber paid close attention to Jesus’ evangelism and noted how consistently the proclamation of the Gospel was accompanied or even preceded by a demonstration of it. It is with this understanding that Wimber wrote Power Evangelism, which enumerates the benefits of including manifestations of the Kingdom to accompany its declaration. Wimber’s insights include an appreciation of the purposes behind miraculous gifts such as healing. Besides helping to establish the Church and give credibility to the apostles, healing was Jesus’ expression of the combination of his compassion and authority. As the present-day ministers in Jesus’ name and possessors of Christ’s spirit “We do as he did” and thus continue Jesus’ ministry who’s source was loving compassion. This flies in the face of some contemporary Charismatic leaders who use the gifts to support a health and wealth gospel. Wimber states that “It’s not the release from pain and sickness that is the primary goal of healing, it is the release from the guilt of sin.” The primary result of Christ’s act was healing for our souls, but to say that this is primary does not necessitate that it be the singular result. The Kingdom of God, as Wimber understands it, has been established in heaven and is secured for the future, but the Lord’s Prayer encourages us to beg God to “accomplish on earth what he has already established in heaven.” Healing is never the end, rather it is the means through which Christ can extend compassion and give a sneak preview of the kingdom coming to earth. Also central to Wimber’s ministry was his emphasis on putting into practice Jesus’ teaching. He calls “application of the words of Jesus to everyday life” the “main thrust” of his ministry for the last twenty years of his life. Wimber was quick to critique the anemic Christianity that was mere believing unaccompanied by doing. His duel emphasis on believing and doing are apparent in his writing: “being a Christian with an obedient walk also include[s] the risks of believing and doing those things that Jesus believed and did.” For Wimber the great commission in Mt. 28:18-20 hearkens back to the pilot mission Jesus sends the disciples on in Mt. 10:7-8 where he commands them to “preach the gospel of the kingdom, to heal the sick, to cleanse lepers, and to drive out demons.” It is clearly Wimber’s understanding that Jesus’ ministry was never meant to come to an end, but rather to continue through his Spirit-empowered Body, the Church. Wimber emphasizes this function of the Church when he writes “Exercising the present day ministry of Jesus is actually what this life is all about.” A perspective that Christians exist largely to continue Jesus’ proclamation and demonstration of the Kingdom of God naturally gives yield to an emphasis on equipping and sending out the members of the Church to do this ministry. Because the Spirit is for all believers Wimber opened wide the doors for ministering Christians: “Everybody can worship, everybody can pray. Everybody can prophesy. Everybody can heal. Everybody can win the lost. Everybody can feed the poor…” The ministry of Jesus’ Spirit is not only for holy-rollers but everyday Christians. Wimber revolted against the tendency of domineering ministry personalities to cause regular Christians to shrink back from their call to also minister in Jesus’ name. Wimber’s belief was that Jesus’ ministry was for all. The Protestant emphasis on the priesthood of all believers means therefore that all Christians, irrespective of vocation, are called to the ministry of the Kingdom of God. Wimber’s interpretation of John 14:12 demonstrates his understanding of the Spirit-empowered ministry of all believers: I tell you the truth, anyone who has faith in me will do “the stuff” that I have been doing. He will do even greater “stuff” than these because I am going to the Father. An emphasis of active Christian living as opposed to passive belief was a hallmark of Wimber’s teaching. This coupled with confidence in Jesus’ desire to continue his ministry of compassion, expressed in forgiveness and healing, made the way for teams and Churches full of equipped Christians who helped the Vineyard movement to blossom. Despite his vocational success and high-ranking responsibility, John Wimber desired to give all praise to his Master and to take none for himself. This was illustrated during one service in which John preached and received an exuberant applause. He slipped out of the building and when questioned as to his tears and exit explained “No one should get an applause like that except Jesus”. Perhaps John Wimber and the Vineyard are best known for their worship music. This reflects Wimber’s love for music but also Spirit-given gifts of praise. His grasp of the human task is clear: “Becoming true worshipers is the chief assignment given us in this lifetime.” Vineyard Music Group, also a product of John’s ministry, now has music all over the nation and world that draws people to the worship of Christ. Though once a music artist himself John expressed no sympathy for musicians trying to express themselves through worship music: “It’s not about you [expressing yourself] its about Jesus, and your only job is to lead the people to him.” For Wimber, worship was an end in itself and not to be perverted to selfish ends or used to try to manipulate God. You don’t use worship for anything other than to worship God, and you don’t use emotion either. People are emotional and that’s fine, but you don’t use any thing to cause the ministry of the Holy Spirit. Christians are called to obedience and worship. From there the Holy Spirit may choose to act supernaturally, but this is never to be the focus of obedience or worship. Having looked at John Wimber’s ministry and appreciated his Biblical and Spirit-led determination toward obedience and servanthood through equipping individuals and Churches to participate in the ministry of Christ, it is appropriate to recognize that this godly man was not perfect. While Wimber had a high view of what the Holy Spirit could do in shaping the character of a person, he also soberly admitted I have come to the conclusion that this side of heaven, we will not overcome all of our inadequacies. We will make headway in many areas and even overcome some of then, but until we are with the Lord we all fall short of his holiness and perfection. Most notable among Wimber’s flaws is what his wife identifies as insensitivity to others. While all are quick to acknowledge John’s attentiveness to the voice and heart of Jesus, he apparently lacked this “in the way of an awareness of what others were feeling or thinking.” John seems to have had a hard time understanding others struggles, particularly his wife’s struggle with depression of which he was somewhat aloof. Though Carol often phrases this in a complementary way, the impression is given that John sometimes domineered in his own perspective without engaging others. Perhaps it should be somewhat encouraging that this man of great sensitivity to God, this servant with God-given authority, lacked in something which is considered to be so important in ministry and in leadership. In the process of equipping so many individuals and Churches to be the Good News, Wimber had an enormous impact on the Protestant church in America. Through his music and the excitement surrounding the exercise of spiritual gifts the Vineyard movement took a role of some popularity and Christians all over the nation were forced to grapple with Wimber’s teaching. As a ‘change-agent’ Wimber sparked within the Church a fresh awareness that “Our part is to obey his commands, and his part is to execute his will.” His emphasis on the whole Church ministering also had a profound impact on the Church’s self-understanding. Wimber’s unique journey to charismatic Christianity, marked by hunger, brokenness and “total dependence on [God’s] grace and mercy” is at the same time a testimony to reasoning skeptics and a challenge to the experience-driven Christians. John Wimber understood his calling to serve as an equipper of the Church to perform the ministry of Jesus Christ, and lived his life in service to this call, in the meantime having a profound impact on numerous individuals as well as the entire Church. Written in 2001, as a student at Wheaton College.